Update from Louise: I wrote this post about proofreading training several years ago. However, I'm confident the advice still stands. While these days I work primarily for indie fiction authors who find me via organic search, I think publisher work is still incredibly valuable. How far will training get you in the editorial freelancing market? Publishers and editorial freelancers understand each other. We have the same expectations regarding the level of editing being undertaken (e.g. developmental, line/copy, proofreading), which saves both parties time. Publishers are in a position to offer repeat work, thus taking some of the stress out of marketing. Plus the portfolio- and testimonial-building opportunities are excellent. And so while the rates are sometimes an issue (though not always by any means), publishers are a brilliant client group to target. It's therefore important to bear in mind where they see the value when hiring editorial freelancers. I’ve just landed on a blog where the author calls proofreading courses a "scam" and "unnecessary", and the qualifications "useless". The rant continues, the author arguing that they’ve never been asked to produce evidence of any qualification or completion of a course by an "official" body. And luckily for anyone looking to enter this extraordinarily crowded and competitive field, said author offers a far cheaper alternative to all those "rip-off" courses: their very own proofreading course in the form of an ebook. Back in 2005, I spent seven months doing just the type of course this author was decrying. I opted for the Basic Proofreading by Distance Learning course run by the Publishing Training Centre (PTC), an externally assessed course run by an industry-recognized body. I also joined the Society for Editors and Proofreaders (SfEP) and did the necessaries to qualify for full membership. So did I waste my money? Was I ripped off? Did the training I took on help me get to where I am now or was I kidding myself? Should I have instead invested in an ebook course that would have given me change from a twenty-pound note? I discussed this issue with some of my clients, all of whom are established and respected publishing houses or project management services in the UK. What came out of the conversation led me to conclude that the training I undertook was definitely worthwhile, and membership of the SfEP has provided me with wonderful information-sharing opportunities as well as the right to advertise in their Directory. Nevertheless, there was much food for thought in the responses I received. Out of House Publishing consider only the SfEP and PTC courses to be "useful and relevant" and Managing Director Jo Bottrill stated that he "certainly consider[s] freelancers who have completed such training much more seriously". Constable & Robinson’s website states, "Please note our minimum requirements include training from recognized establishments such as SfEP or the Publishing Training Centre." Aimée Feenan from Ashgate concurs, saying that most Ashgate staff have undertaken some sort of training at the PTC, and knowing that freelance staff are able to work to the same editorial standards means they are more likely to be hired. They also recognize the SfEP as a trusted source. And at SAGE Publishing, training is considered important, with the SfEP and PTC again being the two most trusted external suppliers. Elizabeth Clack at Edward Elgar felt "that the Publishing Training Centre and SfEP courses are good quality and are well-regarded, so it would be a plus point if someone had taken courses with them, although that's not to say that we would only consider freelances who had taken courses with these bodies". She added, "it indicates to us that the freelance has reached a certain level of proficiency and has some understanding of editing/proofreading procedures and 'best practice'. Training is especially relevant if the freelance does not yet have much work experience." Also of note here the fact that she felt that proofreading courses took away some of the risk of the unknown when taking on a new or inexperienced freelancer. Training in itself is not always enough, and some publishers feel they have had their fingers burned by relying too much on freelancers’ training credits. Increasingly publishers are using their own tests in order to evaluate competence. Jo Bottrill was cautious of advanced membership and accreditation status within the SfEP, feeling that these did not always ensure that a freelancer met his exacting standards. Instead, he's "put[ting] more emphasis on the assessment of our own tests and analysis of live jobs. Our quality control and reporting procedures have developed over the last couple of years to ensure we have an appropriate safety net." For Edward Elgar, "another factor when considering whether to work with a freelance is whether they have experience in a particular subject area, because many of our books are quite specialized. For instance, freelances working on our law books may have law qualifications or a background in legal work." Ian Antcliff, one of SAGE Publications’ senior production editors, stated that training, though important, is seen as an add-on. For him, in-house experience makes for an attractive prospect, not because the editors/proofreaders are better, but rather because "it usually ensures that they are sympathetic to and understand the pressure that in-house staff are under (especially with regard to budgets and deadlines)". Ashgate acknowledge that not every freelancer on their books has received formal editorial training – they do have people who were just exceptionally good at learning on the job and being an expert in a particular subject area is also a real plus. Polity’s production manager, Neil de Cort, takes a stronger line. For him, a speculative letter with a list of training courses is of no relevance. Like most publishers, Polity receive a large number of speculative letters every year from freelancers looking for work. Experience counts every time – Neil wants to see that a freelancer has experience of working in the social sciences, and references from other publishers are key. Completion of a training course alone simply won’t get you on their books. The training I’ve completed to date did indeed get me looked at by several clients when I was starting out. Polity, though, gave me work because of my knowledge of their field of publishing and a good reference from Salt Publishing. Constable & Robinson noticed me, despite the fact that I already met their minimum requirements, because of a recommendation from the Edward Elgar production team. However, proofreading books published by the likes of Cambridge University Press, Polity and SAGE, who, like all of my clients, have precise and exacting publishing standards, can be daunting to the newbie. And expanding into new publishing genres, in my case from the social sciences to trade, is a different type of challenge. Externally assessed training under the wing of a skilled industry-recognized body gave me the confidence to take on these challenges and feel assured that I was ready for the task in hand. As for the future, I’ve been wrestling with the issue of whether to upgrade to advanced membership of the SfEP. For me this will mean undertaking more training courses, since I qualify on all other fronts. I’ve no doubt that further courses will provide me with new knowledge and provide excellent networking opportunities. But will I get more work? It depends on what that training is – if it involves ensuring I can mark-up onscreen, use the preferred software packages, and deliver my projects in new formats, then yes. Ian Antcliff at SAGE emphasizes how essential it is for freelancers to have up-to-date skill sets "with regard to both onscreen editing and Word, and also with ancillary software generally – Adobe, etc. – increasingly so as we move towards onscreen mark-up of proof PDFs". Talking to clients (or reading their blogs and tweets) about what their needs are, how the market is changing, and new ways of delivering our service may be just as informative as any course, and is probably the first thing we should do before deciding where to spend our hard-earned training cash. So all in all, the message from my clients was that initial basic editorial training is more likely to get us noticed by publishers, but that it’s not the sole factor in determining whether they place us on their books. Experience counts for a lot, but so does flexibility over the formats in which we work. Continuing to update our skills in whatever way best suits the needs of our clients will give us the best chance of remaining their freelancers of choice. As for that £19.99 ebook course? It simply wouldn’t have cut the mustard. All best and good luck with your freelance journey. I would have loved courses when I started out in this field in 1986, but there were almost no such available so it was all luck in getting that first in and then on-the-job, lots of reading of style manuals, and, really important, studying edited mss. Like so much else, proofreading was once more of an apprenticeship than a course of study, and I'm okay with that. I just hope we old warhorses aren't trampled in the rush to certification. Who proofread that bit: "and an editorial references"? You did, Thom - just now. I made a mistake when I was commenting. Happens to us all, especially when we're typing fast in response to colleagues' queries. I am glad I found your blog. I bought the £20 ebook you refer to as I thought it wasn't much to risk. However, having read your blog and had a look around the web I have decided to invest in the PTC course and I will join the SfEP shortly. I do however think the £20 ebook was informative and useful, so I don't think I wasted my money. I found this article really interesting. I have done a little editing in the legal field and obtained that work because of my legal qualification. However, I feel sure that a copyediting course would be very beneficial and plan to do one from a recognised body soon. I have MA in English and I am unsure about my next career move. I think that I might want to work as a copy writer or proof reading, and I realise that I will have to do unpaid work to begin. As I want to get a taste for this kind of work, I have been looking into courses. Although I don't want to waste my money. Is the PTC body the only way to go? Could you advise me whether this kind of course would be equally recognised or valued? It is a Proofreading and editing course CTJT diploma (ODLQC accredited). I write and in my spare time I'm also involved in the editing side of an online fiction magazine, having ran an American magazine for 18 months. You may want to check out Chapterhouse Publishing as well. They also offer courses in proofreading and editing and have competitive prices. Hi, I'm Cleland Thom, director of CTJT. I can vouch for our courses, but I would say that! External accreditation is really important for any provider. It guarantees quality and gives students a 'court of appeal' if they need it. Experience - yes, vital. We provide our students with guaranteed paid work, so they can get used to working to industry standards. I cannot find any independent reviews of the College of Media and publishing as CTJT are now known. The course appeals to me because of its content. Does anyone out there recommend it. Does it have the same profile in the big wide world as PTC? I am travelling down a path similar to yours, and have the same question regarding the College of Media and Publishing - did you ever get any more information about them in regards to their acceptance in the big wide world? We now have a specific page on our website where you can see our independent reviews. I hope this helps. Regular reader of your blog here. I fully agree with your points regarding training. It provides a good foundation of skills and offers a structured approach to proofreading and editing. SfEP membership adds credibility as well. One look at Adwords and you can see there are a number of fraudulent websites offering proofreading services. I believe checking for SfEP membership is a good way to avoid the nasty ones. I'd also add that learning style guidelines such as APA, Oxford etc can be considered a form of training worth while. Hi George! I couldn't agree more. There are many ways to train. Ultimately, it's the skills you learn that make you fit for purpose that count the most. Clients want to know that you can actually do the job, and having a familiarity with particular style guides such as Chicago, OSCOLA, APA and so on will be core, as will the ability to work with a variety of formats (paper, PDF, Word, for example). As an SfEP member myself, I think you make a good point. The SfEP's Code of Conduct provides clients with a degree of protection and a guarantee of editorial excellence - no bad thing at all! This is a different question compared to the others I have read. I am currently a nurse and although I love my job, the stress has been getting to me lately. I was also recently laid off. I have always been a "bookworm" and always loved English. My question is how would I get into the field of proof reading or such? 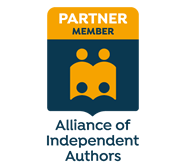 Hi Melissa - you might start by reading my book, Business Planning for Editorial Freelancers and by joining your national editorial society.and seeing what they advise (links to both can be found on the Resources tab in the black ribbon above). You could also look at the Starting Out archive on this blog (scroll down the sidebar here on The Proofreader's Parlour and look for the Archives list). I am still not sure what you guys in the UK need for working in proofreading but just one good course from a local university and I hit some of the freelance websites to get experience and I am on my way. It does take due diligence but any thing worth having usually does. Good Luck in your quest and God Bless from "across the pond" :). I really appreciate your input. May I ask your advice? How reasonable would it be for someone to investigate this field as a second career (after retirement). I have a good command, and indeed a love for the proper use of the English language. I am more than willing to take a course and start at the bottom. Hi Rick. I think it's a career that's open to anyone who's prepared to learn the skills that will make them fit for purpose and who is prepared to carry out the necessary planning and development that any new business requires. Go for it! Thanks for the encouragement Louise. I am in the USA and am wondering if a UK course would have any advantages for me. I need a good, solid online course......any suggestions would be much appreciated. Can you please tell me what the most recognized accreditation is for a proof reader? Sadly that site is now defunct, it no longer exists. Hi Kathy. It all depends. If you're not completely sure whether an editorial freelancing career is for you, try one of the SfEP's introductory online courses. If you are sure that you want to pursue this, go for the PTC's distance learning courses. You'll also need to thin about whether you want to copy-edit, proofread, or both. They're different things and the SfEP website has some super guidelines about what each entails. Thank you for raising the question. I had thought that I was good at spotting errors in text and that I was more than capable of proficient spelling, punctuation and grammar. However, I decided to take a course with CTJT . I had considered SfEP, but CTJT's online facility was much more useful to me at the time. I soon discovered that I wasn't that good at spotting errors, not was my grammar, spelling and punctuation all that good either. The big surprise to me was the style guide. Of course, it all made sense, but I hadn't given it a thought before the course. The way the course was structured allowed me to not only work in my own time, but was designed in a way that strengthened my newly acquired skills through practical applications. It was a requirement to always proofread any assignment according to the given style guide, and to build in whatever had been learned in previous lessons. The topics covered included the usual spelling, grammar, punctuation and proofreading on paper and on screen. However, my knowledge and all-round ability was increased by the practical lessons in copyright and trademark issues, libel, summarising, web editing, accuracy, fact checking, how to avoid using jargon, and the piece de resistance, how to find work. This cornucopia was topped by CTJT's guarantee of paid work which cemented my skills, gave me work experience and built my confidence, not to mention a recommendation to put on my resume and website. So, I hear what some employers say about whether or not a formal qualification is desirable. From my perspective, I would say it is, if nothing else but to give the prospective employee the confidence to be able to take the first step into the market. I would really like to get the accreditation for being certified in ProofWriting. I have questions about your creditialing. In your first paragraph, you end one sentence, insert the period and then start the new sentence with 'And'. That is improper grammar. At the beginning of the next paragraph, you should have put a comma after 2005. I continued to read the full article and found more similar problems through-out. In the last paragraph, you should have put a comma after the word 'So, all in all...' Sorry, no sale here. Hi Victor. Not sure what you meant by "no sale". I wasn't trying to sell anything, certainly not information on "ProofWriting" as you call it. I'm a proofreader, which is very different from a copywriter (I assume that's what you meant). Starting a sentence with a conjunction is perfectly acceptable grammar. Says the Oxford Dictionaries website: "You might have been taught that it’s not good English to start a sentence with a conjunction such as and or but. It’s not grammatically incorrect to do so, however, and many respected writers use conjunctions at the start of a sentence to create a dramatic or forceful effect. ... Beginning a sentence with a conjunction can also be a useful way of conveying surprise ... It’s best not to overdo it, but there is no reason for completely avoiding the use of conjunctions at the start of sentences" (http://www.oxforddictionaries.com/words/conjunctions). The commas you suggest could be added for clarity (though I think they would clutter the text) but are not grammatically necessary, particularly since this is an informal blog and doesn't aim to accord with any particular house style. If you read the likes of New Hart's Rules, the Chicago Manual of Style and the many other reference manuals available you will learn that the issues you have addressed are preferences not rules. There's a big difference and any proofreader working for the mainstream publishing industry will need to be able to respect this if they are going to follow their clients' house styles and adhere to detailed briefs. Even if I had made a mistake (and few proofreaders will tell you they can self-edit perfectly – it’s a rare art), I ask my readers to respect the fact that my blog is dedicated to sharing information and resources related to running a proofreading *business* – I’ve never claimed this blog as a grammarian’s forum. There are plenty of other people in the blogosphere doing an excellent job of that, though none of them would agree with you about the mistakes you incorrectly claim I made in the article. If you want to learn more about the “rules” of English grammar the Oxford website is a good place to start. Trask’s Penguin Guide to Punctuation is also a fabulous resource. You might also consider taking a look at David Crystal’s books and blog (DCBlog). Just remember that there are many more preferences than rules in the English language. I love it.....Thank you so much for this information, Louise. I'm intent was to find out the path of success for my 14 year old sophomore, who is verbally similar to Victor. She is about to begin taking AP classes in English to have her Associate degree when she graduates. What else can she do/or I do to stay on track? TKO in the second round! Hahahaha! Fabulous response! I wish folks like Victor would just back off! How dare you try to 'one up' Louise by finding fault! I very much appreciate your advice, Louise, and think I may follow-up on taking the course. Congratulations on your success! Hello Louise. I am considering taking a course on proofreading and have read with interest all your comments and suggestions. I also agree with Alison? /Margot?, that comments by Victor regarding your grammar is not at all helpful in this context. I also agree with your reply. I shall read up more about the various courses and hope with your suggestions I will be able to take the plunge. I shall be 78 this year but daresay there is no time like the present. Thank you for your clear explanations. No age restrictions on being an editor, Elizabeth! Welcome to our community! I'd say that receiving a PDF with hardcopy job is pretty much standard these days. I wouldn't be without it. It allows me to search for global problems and identify inconsistencies that the eye might miss in a 200-page academic tome. There is more information about onscreen proofreading in the Onscreen Proofreading archive here on this blog (see the right-hand side bar for all the archives). Also the Macros, Tools and Resources archives may have some useful info for you. Good luck, and welcome back! I will bookmark your blog because I like the look of it (including your kindly and intelligent reply to 'Victor', above). I am also seeking paid work after many years; I'll look into PTC courses - already know about SfEP, and have some experience. Also planning to ask a red hot contact in the business for their tips. Exactly the information I sought - thank you for your help! Oh dear! I meant to say hello to Louise, not Alison! No worries, Anita. Happens to us all! This is an informal space where mistakes are overlooked and discussion is welcome! I graduated with a degree in English Lit/Politics and a masters in journalism 3 years ago. Since then I have been a reporter for several national papers and websites. I want to move into this field and have been offered the opportunity to ghostwrite and edit a book on education. I'm not sure what my question is exactly but I think I feel anxious about making a career change. Is there work out there? And is it possible to make a career as a freelancer? Also, which course would you recommend for someone in my position? Is it possible to make a career as an editorial freelancer? Thousands of us have already done so, so there is work out there. But setting up one’s own business in this field is no different to setting up a business in any other – it will only work if one has a business hat firmly planted on one’s head! You’ll certainly need to be able to market yourself effectively to your core client base. Building your editorial business will take time, though how much will depend on what your own particular financial requirements are. Which course you take will depend on where you live, who your target client base is, what skills you already have and what you need to acquire, etc. For example, if you want to work for publishers, you’ll need to learn to work in the way they require (which might be different from working with students or self-publishing authors). Your choice of course will also be determined by what kind of editing you want to do: e.g. developmental editing is not the same as copy-editing, and copy-editing is not the same as proofreading. I think your first step should be to visit the website of your national editorial association. There’s a list of links here: http://www.louiseharnbyproofreader.com/editing--proofreading-societies.html. That will put you in touch with like-minded professionals. Many of these organizations offer their own training courses, or can point you in the direction of other industry-recognized training providers. In addition to the resources provided by your national editorial society, there’s a lot of advice on this blog in the Starting Out archive (http://www.louiseharnbyproofreader.com/blog/category/starting%20out), in the Copyeditors’ Knowledge Base (http://www.kokedit.com/ckb.php), and also on these blogs: An American Editor, Right Angels and Polo Bears, and Copyediting. I have just 'hit' on your Does Training Matter blog. I find this of interest as I am currently thinking of commencing a proofreading / copyediting course with Chapterhouse Publishing, a training provider who I'm sure you will be aware of. In your blog, you mention the Publishing Training Centre, the training provider you opted for. My one question is, do both offer equally good training courses, or is the PTC the better option? I haven’t done the Chapterhouse course so I can’t comment. I’d suggest you seek advice from the Society for Editors and Proofreaders. They have evaluated some of the best-known training courses available in the UK: http://www.sfep.org.uk/pub/train/training.asp. That link will take you to the Training page of the SfEP’s website. By the way, the SfEP offers its own training courses too. Hope that helps. Hi David - did you sign up to Chapterhouse Publishing in the end? If so, what did you make of the course? I've just signed up to the proof reading and copy editing seminar but now wondering whether or not I should go with PTC / SfEP instead? Made the mistake of posting earlier on in this chain --- so my comments now appear twice! I know this is an old article, but do you have any suggestions on legitimate proofreading/editing courses in the U.S. When I search for them, there are so many I get overwhelmed by the "choice." I suggest you contact the Editorial Freelancers Association. I'm based in the UK so I'm not best placed to answer this. Also, you might look on Facebook at the Editors' Association of Earth: https://www.facebook.com/groups/442424952497363/. There are plenty of Americans in this group who will be able to give you better guidance than I can! Thanks for all your useful comments so far. I have been out of work for 17 years and am currently looking to do something flexible work-wise. (Home schooling takes up a fair amount of my time!) How easy is it to manage the number of hours worked when proofreading / copyediting and does the work involve contacting people during the working day? Regarding the hour management issue, this will depend on the nature of the work, what your clients’ turnaround times are, how straightforward the job is, how many clients you have, how often they’re sending you work, and so on. Many of my publishers give me a few weeks to turn around a project; I know of colleagues who work with businesses that require a much faster turnaround; others work for students who hire their proofreaders and editors very close to thesis/dissertation submission date, so the jobs are more urgent. It really does depend on many factors. As with any business, office- or home-based, good planning and sensible scheduling are key. Sometimes, things are more stressful than usual. In terms of contact times, it will depend on which time zone your client lives in and what their preferences are. I won’t accept client contact in the evening because that’s my family time; your needs are different. Much of my client contact is email based, so I think that as long as all parties are aware of when each is available to respond to email queries, there’s scope for flexibility. And, of course, there’s nothing to stop you doing your marketing in the evening. A word of caution, though – proofreading and copyediting are demanding. Before you commit to expensive training, consider how tired you will be after a full day of homeschooling. Given the attention to detail required, you’ll need to be sure your eyes and brain feel fresh before you tackle work for your clients. In my own experience, doing a full day’s work (educating or otherwise) and then settling down to an evening of more work (editorial, for example) will take its toll. I’m not saying it’s impossible, just that it needs thinking about. I am just starting out on a career change. I have looked at many courses and don't want to spend money on one that will not be recognised. I have found the NCFE accredited level 4 diploma course, would this be one that would be recognised. Thank you for you advice. Thanks Louise. That's all really helpful. You mention doing marketing and I had realised that I would need to do some of that. I was wondering how much of my time I could expect to spend doing that and how much time would be spent actually proofreading / copyediting. It's all very well when a company suggests that you can earn £26/hour proofreading but if you have to spend half of your time trying to get work, that becomes a significant factor in deciding if it is a viable career choice - for me anyway! As someone who has limited time, it is important for me to consider this aspect seriously before committing. On the plus side, I think I would be suited to the nature of the work and would really enjoy it. Having just read Nikki's comment (below), I'd also really appreciate if you were able to recommend which courses are recognised/worth considering. I have been interested in the Chapterhouse correspondence course on proofreading and copyediting but want to make a wise choice if I'm to start a new career on the right foot. Well, one has to do more intensive marketing at the start of one's career because otherwise you'll have no clients in the first place! I think you need to spend sometime creating a business plan, which will incorporate your marketing strategy. Then you can start to get a sense of what you need to do, how long it will take you, and what you hope to achieve and by when in terms of client acquisition. I don't have to spend very much time at all marketing my business these days, but that's because my business is now established, and because I invested a lot of time promoting my services to targeted groups of clients during the start-up phase. All the things I've done over the years, such as building a website, networking, building my social media presence, curating a blog, etc. etc., have put me in a position where the bulk of the marketing slog has been done and I can now spend a half an hour per day consolodating that work. There is much more detailed information about my approach to marketing in my book, Marketing Your Editing & Proofreading Business. I also devote one chapter to it in Business Planning for Editorial Freelancers, which is a much more nuts-and-bolts offering designed for the new starter. As for courses, I'm not in a position to recommend particular courses beyond the one I took myself because I haven't evalutated what else is on offer. I took the Publishing Training Centre's distance-learning proofreading course, which I think is fantastic. The PTC is a publishing-industry-recognized body, which is useful if you want to work for publishers (as I think is clear from some of the quotations from publishers in the blog post we're commenting on). If you join the SfEP, you can ask questions like this on the forum and you'll get a much broader sense of which courses are rated highly by editorial professionals: http://sfep.org.uk/. Just an idea! I've not done that course so can't comment on its value. In the blog post that we're commenting on, several publishers stated their own preferences at the time of writing (2011). If you want a more up-to-date view, I'd recommend ringing a few houses and asking the people in charge of hiring editorial freelancers which courses they now recommend. This is well-argued in respect of the logic employed. Sadly the errors in the article undermine the author's authority. * It is a creeping American habit to show quotations of written material in what are actually speech-marks. But one word there in paragraph one i.e. 'qualifications' should not anyway be in quotation-marks of any kind. Speech should be shown using speech-marks i.e. an " to open and " to close. Otherwise single inverted commas i.e. ' should be employed at each end. * Again in paragraph one there should be a comma between 'And' and 'luckily' because otherwise the parenthesis within the sentence does not function as such. The test of whether a parenthesis is correctly punctuated (i.e. properly divided from the rest of the sentence) is whether one such as 'luckily for anyone looking to enter this extraordinarily crowded and competitive field' can be removed from the sentence and still leave the sentence making perfect sense on a read-through. Because the first comma is missing here that's impossible. * Superfluous commas abound. An example is found in 'Constable & Robinson’s website states, "Please note our minimum requirements include training from recognized establishments such as SfEP or the Publishing Training Centre."' But those of us who are keen-eyed will also realise that the full stop at the end, after 'Centre', should be after the close of the quotation because the quotation is only part of the full sentence. In the UK this is therefore incorrect. The USA know no better. Though. of course, one recognises that it makes sense to be able to shift styles if one is working for both US and UK English clients. * Continuity is important. And the following obviously demonstrates a lack of it given what I've just said about where full stops ought to be placed if there is a quotation within a sentence and at the end of it (though readers should note that, where the entire sentence is a quote the convention is to place the full stop before the close of the quote). See 'For him, in-house experience makes for an attractive prospect, not because the editors/proofreaders are better, but rather because "it usually ensures that they are sympathetic to and understand the pressure that in-house staff are under (especially with regard to budgets and deadlines)".' Here it's correct! In my opinion there are few substitutes for having a good grammar-school education. We were taught all of this in my generation, though admittedly not everybody remembered it! Having said that, well-meaning buffoons have torn down many such establishments and even the best teacher-training establishments (and I attended one) seldom prepare English specialists as they ought to do. Louise is pretty good. But I do worry that the training she recommends is by people who really do know what they're doing. I could find further errors here that prove my point. So I, for one, won't be joining the sfep. Yes, I am British, though the blog is intended for an international audience. *Example A: UK publisher client’s education-series style: “s spellings, not z spellings”. *Example C: another UK publisher: “British English (-ize/-yse) spelling”. *Example D: yet another UK publisher: “-ize spellings rather than -ise following Oxford Dictionary for Writers and Editors for exceptions”. Quotation marks: the marks are used in the first paragraph because the words are taken directly from the written material that I’m quoting. I’ve chosen double as my preference for the blog. This is because I have found that single quotation marks appear rather lost on the page (because of the font I’ve chosen in my webpage design). While I accept that British use of quotation marks tends to favour singles (with nested doubles), it is not wrong to use doubles with nested singles. Rather, it is a style preference and I aim for consistency. Again, my clients have different preferences. Some ask for singles with nested doubles; some ask for doubles with nested singles; and some philosophy books see the a bizarre mixture that I’ve yet to fathom – the brief is usually to “go with the author’s style”! I disagree that there needs to be a comma between “And” and “luckily”, and I do so using the test you suggest. In this case, the sentence “said author […] can stand on its own. There is nothing wrong with the comma after “states” because quoted text is being introduced. The full stop after “Centre” is positioned correctly – those of us who are keen-eyed will have visited the Constable & Robinson website, where it can be see that the quotation is a full sentence; my punctuation style therefore adheres to preferred UK publishing standards. One final point: I won’t pretend that every blog post is absolutely perfect – but that’s not because I don’t have a blog house style (though the style of writing on my blog is informal and I’m not slavish about consistency between posts), nor because I don’t understand grammar, punctuation and spelling rules and preferences. It’s rather that I sometimes do make the odd mistake. Perfect self-editing is virtually impossible; this is why people hire proofreaders and editors. My blog is not monetized so I don’t hire proofreaders to check the content. Instead, I ask people to read the commenting guidelines before they use this information-sharing resource hub (one that I’ve created in my own time and for the benefit of others, and that is free to use) to publicly undermine the writing by pointing out what they believe to be errors. Note the following excerpt from my guidelines: “Please don’t use the commenting function to highlight the odd error that may slip through – a private email is preferred. Anyone writing for The Proofreader’s Parlour does so in their leisure time, often during unsociable hours in order to work around their business and family life. And given that perfect self-editing is impossible for all but a few, mistakes can creep in. I am always grateful to colleagues who email me privately to highlight one of Muphry’s visits so that I can amend any errors.” I think this is a more professional way to communicate with a colleague. You may also be interested to know that I attended a grammar school, one that hasn’t had the misfortune of being torn down! However, in my experience, some of the so-called rules that I learned at school are based on nothing but an individual teacher’s preference. There are plenty of excellent online resources (hosted by grammarians and linguists) that provide information about such prescriptivism. In order to serve my clients as best as I can, I try to be broad-minded and adhere to a golden rule: follow the brief. When there is no brief, I use respected industry-recognized reference manuals such as dictionaries, thesauri, punctuation and grammar guides, and English-usage style guides. New Hart’s Rules, Fowler’s Modern English Usage, New Oxford Dictionary for Writers and Editors, New Oxford Spelling Dictionary, Oxford Dictionaries Online, Merriam-Webster Online, Penguin Guide to Punctuation, Penguin Dictionary of English Grammar, and David Crystal’s Rediscover Grammar are just some of my favourites. Sometimes, I am asked by clients to proofread in accordance with the likes of CMOS, APA style and OSCOLA (Oxford Standard for the Citation of Legal Authorities), though many publishers, of course, have their own house styles. Working with such a broad range of requirements has taught me that there is no one true way, and very few rules. Instead, there are lots of preferences! I see your original post was dated some time ago now but it's generated lots of response, all proving, in my opinion, that you know your stuff. I have been considering transitioning into copy editing as freelance work for sometime now and hesitated initially out of fear of the over-crowded, competitive field as you mentioned. I have an extensive academic background which has required lots of attention to detail, grammar and precise, clear writing. I've published in peer review, was even told by the editor that my script required hardly any edits. Anyway, after much consideration, I've been trying to get an idea of which training option is the best. I came across PTC and SfPE and noticed that SfPE offers their intro proofreading and editing courses look much cheaper than PTC (although they offer less capacity for tutor time, i.e., only one hour for the whole online course) and the courses are not assessed, if I remember correctly. I guess my question then is, aside from the assessment aspect of the courses how do these courses differ? Perhaps the tutor support and assessment, levels of achievement in the PTC courses is what makes them more valuable, in particular for those of us just starting out. I guess I'd like to feel confident that I'm making my investment at this stage in the right place. I'll probably have a further look through your web resources too for help. Your ebook looks great too. These early stages of decision-making feel a bit daunting! I've just come across this and am looking at getting into this field and looking at training. I found this really helpful and am glad you posted it- even if it was a while ago. I'm in Australia and have found we only do it to a certificate level and nothing is nationally recognized. I am now looking at doing UK based training as a possibility, possibly through CMP, which is something I wouldn't have considered if not for your blog. So I just wanted to say thank you for the advice, it's been really helpful. I'm in the same boat as you, where I'm looking at online Aussie courses and finding that none of them are nationally recognized. Did you end up completing a UK course? My advice to both of you would be to contact the IPEd and seek its guidance. Depending on their specialities, editors may find tertiary study in a range of disciplines valuable. Courses focusing on writing, editing or publishing are offered by a range of Australian institutions. IPEd does not endorse or recommend any of these courses. Why not email some of the IPEd's accredited and distinguished editors? They're all people who have passed the accreditation exam and may well be able to advise you on the courses they found most useful. I see that the IPEd does provide a list of suggested reference sources, including Butcher's, and it provides some sample tests (see the preparation information under the accreditation section). I am from Ireland and this may seem like a silly question but am i limited to working within ireland if i do one of the PTC courses?? I would be most interested in working with authors but i guess i would take anything going really to get myself up and running. Could i work with companies from the USA and UK?? Hi Natalie. I see no reason at all why you shouldn't work with clients beyond Ireland's borders. I'm based in the UK and have worked for clients in England, Scotland, Ireland, the USA, Sweden, Spain, Germany, China, the Netherlands and Denmark. Of course, being Irish will be a great USP when promoting yourself to Irish clients who want to work with someone who is also Irish or based in Ireland. The Association of Freelance Editors, Proofreaders & Indexers (http://www.afepi.ie/ - Ireland's national editorial society) and Publishing Ireland (which represents the Irish publishing industry) both recognize the PTC training courses. Much editorial work is done onscreen these days, so where you live is not the obstacle it might have been 20 years ago. The key will be ensuring that you are discoverable to your potential clients, wherever they live, so make sure you plan an active marketing strategy. I'd recommend you get in touch with the AFEPI as a first step. That will enable you to network with other Irish editorial professionals who've already taken the journey that you're contemplating. The SfEP is the UK's national editorial society but we have lots of Irish members and very close links to the AFEPI, so that may also be something you'd like to consider joining at some stage. Good luck! Thanks for everyone's honesty on here. I too am interested in embarking upon a freelance career in either proof-reading or copy-editing (preferably both). I'm hoping to come into this from teaching English (eventually). Trying to decide which course is best is so hard for us all considering this as a career. I thank Louise for her transparency throughout these comments. One final point is that I am regularly astounded by how rude people are when commenting on (and correcting!) posts. I would suggest that people with such appalling manners and lack of sporting spirit would struggle to gain and retain clients for themselves. However, that would mean all the more clients for me in the future! Thanks for this blog, Louise. I've just realised that after finding this blog/wibbly wobbly website, nearly 2 hours have passed - it's almost 4am! Just goes to how interesting and informative it has been. So a big thanks to Louise and all those enthusiastic individuals that have written and covered most if not all the questions that have been rattling around in my head for days! Needless to say that I too am researching courses etc. Finding this info by chance will almost certainly have saved me time in trawling through countless websites for days. Though as much info that one can acquire prior accepting that bank loan for the course or courses I will inevitably embark should pay off? Hmmm… I was looking at this website to determine if it would be worthwhile for an experienced editor/proofreader to join the SFEP. I've worked for three decades in the publishing business, half of that time in-house in both the UK and the USA and the other half freelance at home in the UK. I've worked with many of the leading publishing companies, specializing in illustrated reference books, and I've watched the industry slowly shrink in size. I'm still not sure if membership with the SFEP would be beneficial. What I would advice is to be careful about taking on projects from another country if you aren't good with red tape - dealing with the taxes can be a nightmare. Spain, for example, doesn't recognize that UK residents are exempt from VAT up to about £80,000, and filling in self-assessment forms becomes more difficult if you have foreign income. I am 62 years old and a qualified finance and tax professional. However, since the inception of my career, as a multiduty clerk, I have been ( it somehow happened, I do not know how), I have been asked to help in the correspondence, which included proofreading. I am from Sri Lanka and English is not my second language. However, I am more at home with English than with my "mother" tongue, despite having started learing English from third grade or so, in sixties. I have been very attentive to details ( since my job demanded it) and also a kind of a perfectionist. I even notices all the errors in grammar and spelling in the hoardings and bus advertisements while driving or travelling. This, in fact has become a sort of a nuisance for me, as I always find falut with whatever I see or read. So far, I may have proofread ( not using any software programme) thousands of documents, inclduing research work of friends who were reading for their MBAs and PhDs. It has become common place that most of the friends always turn to me to get whatever they write to be polished or looked at for typs etc. Though I do not consider myself as an accomplished writer or proofreader of substantial standing, I feel that I could help, and havel helped a lot of people with whatever talent I have got. I have not charged a single cent for my work for all these years. However, now I am no longer employed on fultime basis, and have been looking for some additional income to supplement what I get from my savings. I have a choice between going for tax consultation and doing something related to reading and writing. I have had been in touch with Writers' Bureaur ( UK), but did not go ahead with the enrolment since I happened to read a lot of comments which said that it was not of any use, following a course in copywriting and proofreading. However, after tumbling upon your article and website, I have developed a renewed enthusiasm in the field. I know I would not get a chance to work for any prestige place like you have done ( and are doing), but I might be able to get some work, if I advertise myself as an accomplished professional in this field. For this, now I am convinced that I should have some formal qualification. This, as you have very correctly stated, could give you the confidence, which others would recognize when they communicate with you. Thanks for sharing your experience and publishing this information. Please give me your assessment of the Writers'Bureaue ( if you have any ), or if you recommend only SfEP. Hi Gehan. I can only recommend those training institutions I have experience of. It would be like giving an opinion on a Renault Clio when I've only ever driven a Ford Focus. The SfEP has reviewed a range of courses. I'd recommend asking its training director for advice about the WB. Thanks for this really informative post. I have experience in educational publishing, most recently at a managerial level, and am looking to brush up my proofreading and copy editing skills in order to go freelance. I'm considering both the PTC and Sfep courses, but note the significant difference in price (the Sfep courses being considerably cheaper). I know you took only the PTC course, but do you have a handle on whether it is worth the extra cost? Also, would the PTC course deal with issues relating to educational content as well as academic and fiction? The proofreading training with the SfEP, just to take one example, isn't cheaper! P1 plus P2 would cost £411 for non-members. The PTC course is £395, so the difference is marginal. If you read the SfEP's training FAQs, you'll see that P1 is a very basic introductory course, equivalent to a day's training, so you'd need P1 and P2 to match the comprehensive PTC course, which takes several months to complete. I'd recommend you talk to the respective training directors for advice on each organisation's syllabus in order to answer your question about relevance to educational content. That's unfortunately not something I'd feel qualified to answer, as the content will have changed since I carried out my initial career training in 2005. I don’t offer copy-editing services but I’m successful! The two services are different skill sets – some clients want one, some prefer the other, and some need both. The key to being successful is to build your business such that you make yourself discoverable to those clients who are in need of the solutions you offer. I know people who are specialist editors and specialist proofreaders, and I know people who offer both services. The training courses you take will reflect your own business choices. Thank you for all this great information. I really appreciate your effort. Thanks for the informative post, I found it very helpful and interesting. I am thinking of doing some courses but not sure where to go. Does anyone have any experience with the Chapterhouse publishing courses for proofreading and copy editing? Thoughts please. Thank you. I've had experience of Chapterhouse. It's cheap and you get what you pay for - cheap! Zero support; insufficient feedback; so don't be surprised if you complete the course and fail to get any recognition for it. Waste of money. Chapterhouse treats you just as a meal ticket. It is rubbish and not surprisingly - not industry recognised. My advice - pay the extra and go for PTC. Any thoughts you have would be much appreciated. Both organizations are well regarded, Jon. The difference is the the PTC is a single course, whereas the SfEP equivalence would require three different steps. You might contact the SfEP's training director for advice on what would best suit your needs at this stage of your transition. I can't specifically recommend a particular route, as I've only done the PTC course myself - the SfEP's distance-learning courses had yet to be developed when I set up my proofreading business! I've just come across your website, it's very informative and useful indeed! Recently, I've been thinking about a career change to proofreading. I love reading, I have attention to detail, and (I think) I am quite good at spelling. I have a BA degree in English, however, I'm not a native speaker. Do you think I'd stand a chance (after undertaking further training, of course) or should I just forget about it? Before I spend hundreds of pounds on a course, I'd like to be sure that it's not all in vain... Many thanks in advance for your honest opinion. My question is whether there is any chance of becoming a proofreader if someone is not a native speaker? I was thinking about embarking on this path, I have a BA degree in English, I love reading, and I think I do have attention to detail. However, before I invest in further training, I would like to know if it is worthwhile at all for someone like me. Thank you for your honest opinion on this. Thanks for the informative post. It is very useful and informative. I appreciate your effort. I just wanted to express my gratitude for all the time and thought that have gone into the comments above. It's addictive reading certainly and hugely useful. And Louise's reply to good old Victor was great stuff. Having taught English - and a few young Victors - for the last nineteen years, I am now looking to start up a career proofreading and copy-editing and will certainly return to this blog down the line. Her book for new-starters should arrive at my door next week. I hope to contribute to the debate and discussion in the near future. Thank you for your wonderful blog! Guidance from an expert is tremendously helpful. Long story. I'm working as an editor in one of India’s leading publication houses in the field of social sciences. My love for the English language and a dear reference landed me the job. I've been mentored, and I self-studied to follow the publishing standards. It's been more than a year now. I copy-edit and proofread; at times I do developmental editing. I worked as an English teacher before my foray into the editing world. I've recently started ‘part-time freelancing’. This, because I wanted to expand the client base, and also because I freelancing would allow me to work on a variety of projects. My salary at the publication house is quite low, and there are bills to be paid, so this was another important reason. In a year or so, I would want to be more active as a freelancer and take up more projects. I have been looking at signing up for a course at either PTC or SfEP. The courses are expensive - even more expensive when the conversion rate of Pound to Rupees is considered. So far, I have been considering PTC’s Successful Editorial Freelancing. The fees for this course is 145 Pounds for the posted version, which I think is quite a reasonable price. My dilemma however is that, should I proceed with this course? Or should I sign up for the Basic/Intermediate Editing courses first? I don’t know whether I should go ahead with this freelancing course without completing one of the basic courses offered. Somewhat similar to a child who has been home schooled, and then one fine day is sent to a proper school in the sixth grade. I aim to establish my own small business. But, I hope and want to be sure that I’m not jumping the gun by choosing the freelance course ahead of the other courses. I think you need to check the syllabus for each. SEF is a business-planning course. It doesn't aim to teach and test your technical skills regarding editing or proofreading, which is that the SfEP and courses do. SEF's financial, tax and business advice also apply to the UK only. Just another eager beaver here,trying to figure out the best way to begin the intricate journey into your world of proofreading and editing etc. I have been an English teacher for 10 years now and was hoping to further my knowledge and perhaps try a different career path.I just wanted to know if you could,to some extent, give me your advice on which proofreading course you would advise me to take firstly.I am between the 'Copywriting' course from the 'College of Media and Publishing' website, or the 'Proofreading :Introduction' on the SfEP website.If you have any other better suggestions please let me know.Your help will be much appreciated. Hi, Tia! Check out the Publishing Training Centre's flagship online courses too. I trained with them back in 2005, though the course content has kept up with the times so there's more on digital workflows now. You're already in touch with the SfEP so that's great too. Check out the Q&A and training archives on the blog for more posts about my course recommendations, and about transitioning from other careers. Good luck! Hi Louise. I realise this post is several years old, but I just wanted to pop in and say thank you. I came across this post in early 2016, when looking for advice on how to start out, and it prompted me to sign up for the Publishing Training Centre's Basic Proofreading by Distance Learning course. I completed that course last week (with a distinction), and yesterday I was accepted as an entry-level member of the SfEP. Now to start work on putting my training so far to use, and hopefully earning back the money I've spent with interest! Thanks! I'll be going through your Getting Noticed and Starting Out series later tonight, I think!